To provide every customer with equipment that meets or exceeds their expectations. To provide innovative solutions for every application through the use of our experience and technology. To offer equipment, parts and filter bags that provide the best value at the lowest installed cost. 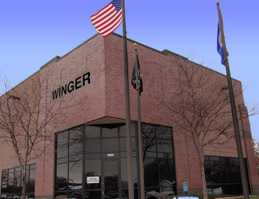 At Winger we believe in working with you to achieve your goals. We will listen to your needs, offer solutions, and then use our expertise to achieve the required results. Contact us for Sales, Service and the Total Solution.